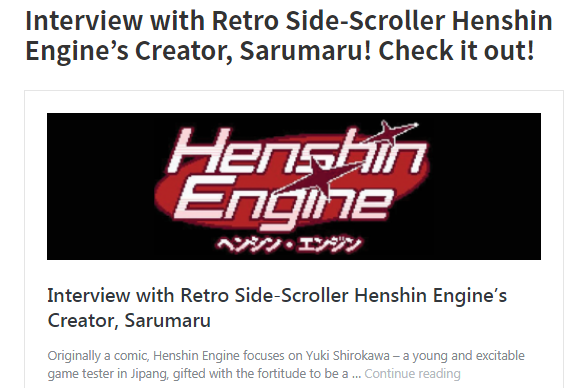 Page of "Interview with Retro Side-Scroller FX-Unit Yuki : The Henshin Engine’s Creator, Sarumaru! Check it out!". Interview with Retro Side-Scroller FX-Unit Yuki : The Henshin Engine’s Creator, Sarumaru! Check it out!